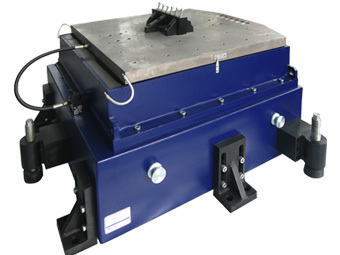 ETS Solutions slip tables are designed to provide the optimum test platform for horizontal testing with any shaker combination. Two types of slip table are available to the user; a Unibase concept provides a structural steel body to align the shaker and table on a rigid platform, while a Standalone Slip Table design allows the feasibility of any vertical shaker to couple with the slip table assembly. 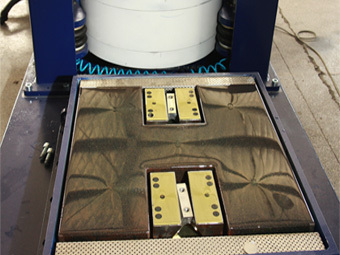 Oil-film slip tables are designed with a precision ground natural granite block with a selection of guidance bearings to meet different applications and budgets. 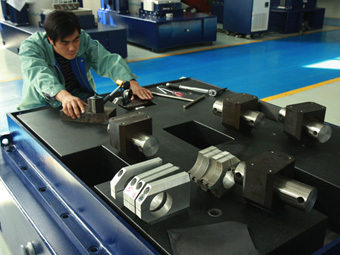 Hydrostatic BT Series bearings offer exceptional guidance with large test loads that have a high centre of gravity, while a low-pressure GT Series bearing, combined with the armature guidance system, provide the necessary yaw restraint to the shaker system for the majority of testing requirements. CVMSL have many years experience in the supply, rebuild and repair of bearing guided slip tables. Why not ask CVMSL for a site survey and installation advise.